If you slip and fall on someone else’s property, you might qualify for compensation. This is true when the owner acts negligently in a way that compromises the safety of an indoor or outdoor surface. For example, a floor could become slippery due to a leaky roof or a cooking oil spill. Milwaukee receives considerable amounts of snow and rain, so many of these lawsuits are associated with outdoor injuries that occur near building entrances. You might have justification for legal action if a property owner has a poorly designed walkway or repeatedly fails to clear ice or snow. Drainage problems could also justify a lawsuit if they create ice on walking surfaces. 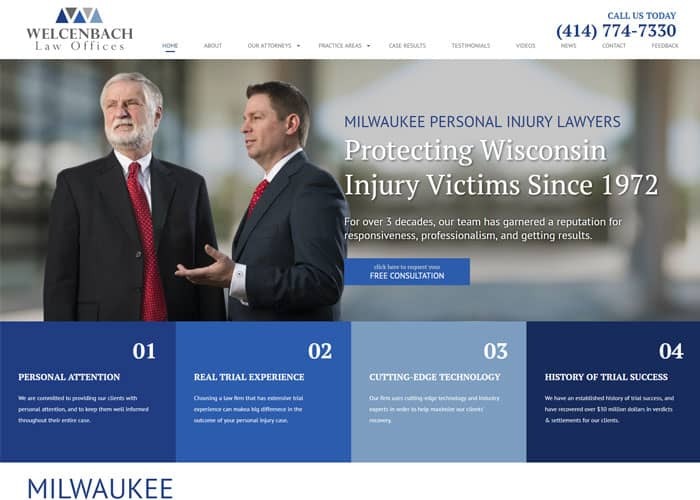 How Would a Milwaukee Lawyer Help Me? A personal injury attorney can determine if someone is legally responsible for your injury. Depending on the circumstances, you may need to initiate legal action against a property owner, plowing contractor or commercial tenant. A lawyer will also help you gather the appropriate evidence, identify laws the defendant has violated and decide how much compensation to demand. Be sure to select a qualified premises liability lawyer. You can benefit from comparing client reviews and finding out how many years different Milwaukee attorneys have been licensed. Look for news reports on specific lawyers. You might learn about license suspensions or other negative incidents. On the other hand, you could discover a history of successful slip and fall cases. Falling on pavement or a floor may cause lasting injuries. It’s vital to find an personal injury attorney who can maximize your compensation and ensure that you are fully reimbursed for medical bills, lost wages and related expenses. Please contact our Welcenbach, a Wisconsin law firm, to speak with an experienced slip and fall lawyer today.